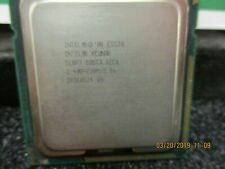 CM8062101048401S R0KW Intel Xeon Processor E5-2620 (15M Cache, 2.00 Clean Pull! Copper Core Heat Sink with push-n-turn mounting type. - This is LGA1366 Socket Cooler Fan. MPN: D2716 L5200100S. Type: 2K EPROM. New , In working condition.This item is New . AT80602000792AAS SLBF7 Intel Xeon E5530 Quad Core 2.40GHz 5.86GT/s Clean Pull! EXPI9402PFG2P20 Intel PRO/1000 PF Dual-Ports LC 1Gbps 1000Base-SX Clean Pull! Other_Info : NEC D432836LGF-A44 Chip. Type : CPU Card. Model : 79200013-0137. What does the Warranty Cover?. Monitor Parts. Printer Parts. Laptop Parts. Server Parts. (Inv.30997). Not What You Were Looking For?. Portland, CT.
ICE-51FX/PC INTEL CIRCUIT BOARD, RARE ICE MODEL! This has been tested to power on only. Model Number: PBA 145977-006. We usually get a pretty good rate from 30% - 60% off on published rates. We have no way of testing it once it was removed. They do not allow us to look at your rates that you are getting with them. 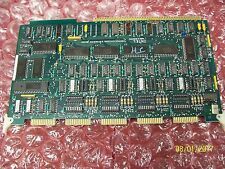 FANUC A16B-2202-0710/01A BOARD. Double your traffic. IRCB 44/20A. CIRCUIT BOARD. Therefore, we do not have first hand knowledge of their history. USED IN GOOD WORKING CONDITION INTEL PWA1003137-1003 PROCESSOR BOARD. 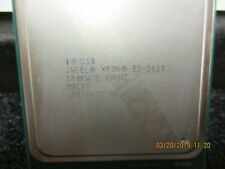 INTEL PBA1000949-08 CIRCUIT BOARD *USED*. MFG NUMBER: 44A295191-004 44A295191004 44A295191OO4 44A295191-OO4. We have no way of testing it once it is removed. They do not allow us to look at your rates that you are getting with them. It is being sold in good condition unless otherwise stated. _gsrx_vers_811 (GS 7.0.9 (811)). _gsrx_vers_625 (GS 6.9.7 (625)). USED IN GOOD WORKING CONDITION INTEL PWA1003137-07 X PROCESSOR BOARD. 910 IOU Analog Wiring Board. PBA 1002075-05. USED, but in good working condition. Removed from closed plant. When we receive the product we will confirm item is defective, has not been disassembled and our seal is intact. Intel PWA1001576-25 Circuit Board 142751-006 Hurletron 992517 NEW!!! Removed from spare parts crib in working condition. Intel PWA142751 Circuit Board PBA142751-007 Hurletron 991991 Refurbished!!! Local Pick up is acceptable. INTEL PWA 1003137-05 PLUG IN BOARD MODULE *USED*. INTEL PWA 1003137-04 BOARD MODULE *USED*. 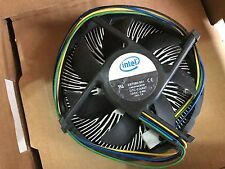 USED IN GOOD WORKING CONDITION INTEL PWA-142722-006. This unit isUSED andUNTESTED. It is being sold as shown in actual photos. No accessories are included if not pictured or specifically noted. These products are subject to export restrictions under U.S. law.